Travel in the land of paradisaical beauty – through the enchanting green hills and the magnificent brown plains; enjoy old historical buildings, meet people of diverse ethnic groups, and while you are at it have fun exploring wild flora and fauna. This is certainly the Best of Nepal Luxury Holiday package. Only a few countries host a natural beauty as scenic and wonderful as Nepal. 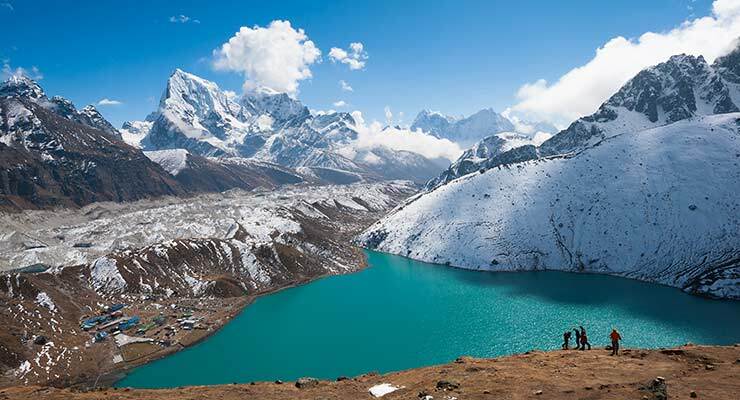 Within its small territory, Nepal packs a world of unrivaled adventure opportunities. You will enjoy medieval city squares, walk through jostling and bustling backstreets, visit old shrines and temples painted in gold, talk to various jovial ethnic communities, travel lakes by boat, see a plethora of flora an fauna and still have so much more to do. Nepal is a country of endless opportunities. Your trip to Nepal under this package will encompass all the famous tourist destinations of Nepal. During the visit, you will stroll around almost all the cultural and religious monuments and temples in the Kathmandu valley. You will tour around world cultural heritage sites — Kathmandu Durbar Squares, at Hanuman Dhoka, the Buddhist Stupas of Swoyambhu and Baudhanath. Throughout your journey in Kathmandu valley, you will be amazed at the awesome arts, architecture and the temples you see – especially their unique tales, non-stop feast and festivities, and carnivals. 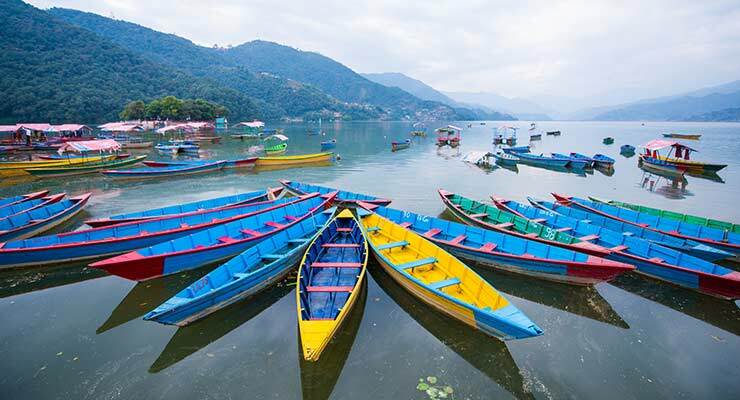 You will drive through Pokhara, a picturesque valley, where you will explore around mysterious caves full of bats, natural water fountains, temples, go for boating in Phewa lake, and take a short drive to Sarangkot. 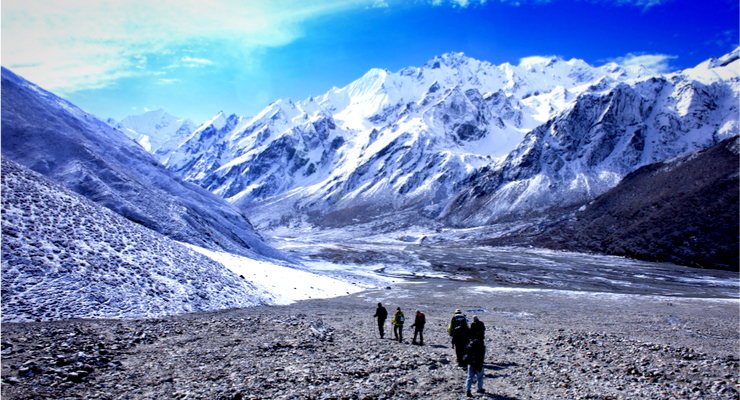 Then, we will hike to Naudada, where you will enjoy wonderful views of the range of mountains–Mt. Annapurna (8,091 meter), the worlds 10th highest mountains, Mt. Fishtail, or Machhapuchhre (6,997 meter), Lamjung Himal (6,941 meter) to name a few. After exploring around Pokhara valley, you will drive to Chitwan National park, one of the finest and largest national park, where you will find an abundance of flora and fauna. Here you will enjoy jungle safari, elephant riding, canoe ride, a walk in the jungle, bird watching and more. Afterwards, you will travel back to Kathmandu for your return trip to your home country. 1) Flight from Australia to Kathmandu and Return. 2) All the Transfer by the private vehicles. 3) Four nights’ hotel in Kathmandu including breakfast on twin share basis. 4) Three nights’ in Pokhara including breakfast on twin share basis. 5) Two nights’ hotel in Chitwan on full board basis (breakfast, Lunch and Dinner) with all the mentioned jungle Activities. 6) All the transportation by private vehicles. 7) All the applicable entrance fees. 8) Local guide for the tour. 1) Nepal entry visa fee (you may easily issue the visa upon your arrival at Tribhuwan International Airport – Kathmandu). You will require 2 passport size photos. 3) Food (Lunch & Dinner) during the tour except while you is in Chitwan. 4) International airfare and airport departure tax. 5) Tips for the guide & driver. (Tipping is Expected But it is not mandatory). 6) Any others expenses which are not mentioned on including section. Day 01: Arrival Kathmandu – transfer to hotel: Arrive at Tribhuwan International Airport, Kathmandu; welcomed by our representative and transferred to your hotel, Free evening; overnight at Hotel, (A). 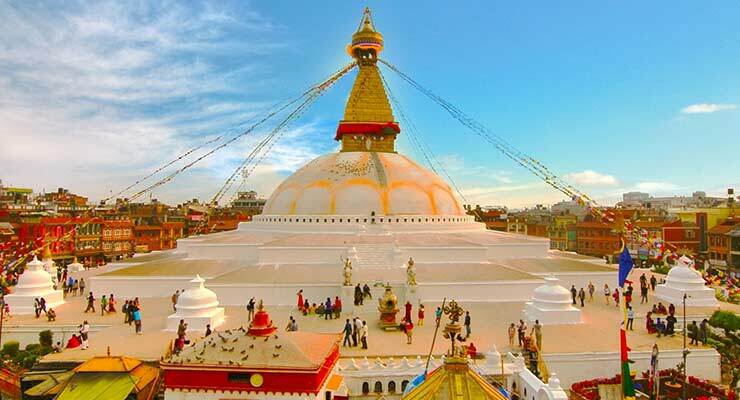 Day 02: Full day Sightseeing Tour: After having breakfast at the hotel we take you on a sightseeing trip to Kathmandu Durbar square and Swayambunath (Monkey temple) in the morning and Bouddhanath in the afternoon; return to hotel and overnight at Hotel, ( A, B). Day 03: Kathmandu – Pokhara: We drive along the scenic Trisuli and Marsyangdi River to reach Pokhara, it’s a pretty good drive as we travel along a beautiful river; and see the Ganesh Himal and the Manaslu peak on the way. Pokhara is a tourist’s paradise full of natural as well as cultural heritage sites such as lakes, caves, & temples of Buddhist and Hindus along with lovely mountains; after 6 hours of driving; we arrive at Pokhara, the city of lakes; overnight at your Hotel, (A, B). Day 04: Pokhara – Naudanda – Pokhara: You will enjoy an early start this morning and drive to Sarangkot, a beautiful hill famous for its sunrise over the Himalaya; enjoy a close-up look of the Annapurna, Fishtail and many others and have breakfast at a hotel in Sarangkot; hike to Naudada that takes about 3 hours on plat level path and drive from Naudada to Pokhara; will have free time to explore Pokhara on your own; overnight at hotel, (A, B). Day 05: Pokhara- Peace Stupa Pokhara: After having breakfast at hotel in Pokhara, we take a boat ride across the Phewa lake; hike up to the World Peace Stupa, that may take an hour, it has fantastic views of the Lake, Himalayas and the Pokhara valley; then hike down to Davis falls, visit it and visit the ancient and longest cave in South Asia; Drive back to Pokhara hotel and afternoon is free; overnight at hotel, (A, B). Day 09: Half day tour of Bhaktapur: After having breakfast at hotel in Kathmandu, we take you on a half day tour of Bhaktapur, Bhaktapur Durbar Square that is highly known for it’s immense & tragic historical features that include heritage monuments; At eventide, we attend a farewell dinner in one of the most famous hotels for Nepalese cuisine & while enjoying our delicious meals we will be entertained with a scintillating cultural dance performed by the local belles, overnight at Hotel, (A, B).